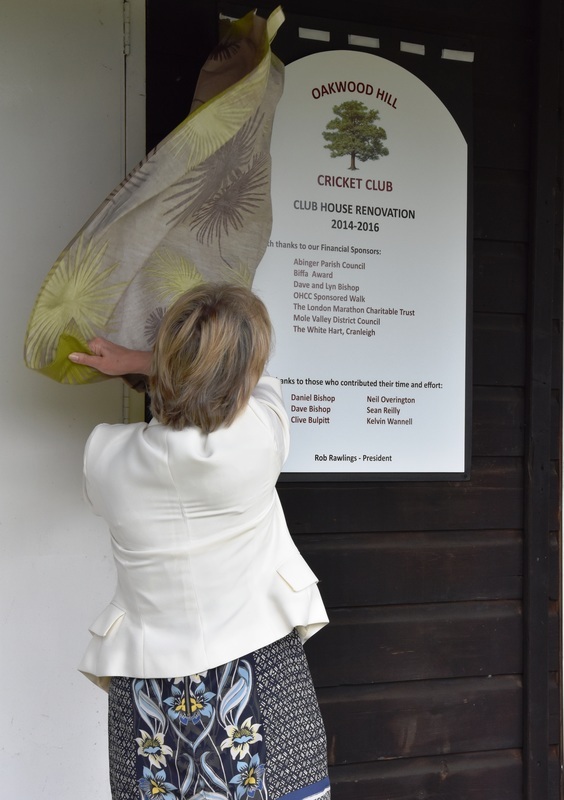 Saturday 23 May saw the official unveiling by our local Mole Valley District Councillor, Vivienne Michael of the first stage of our renovation work, which is primarily the new roof that had been installed over the winter. 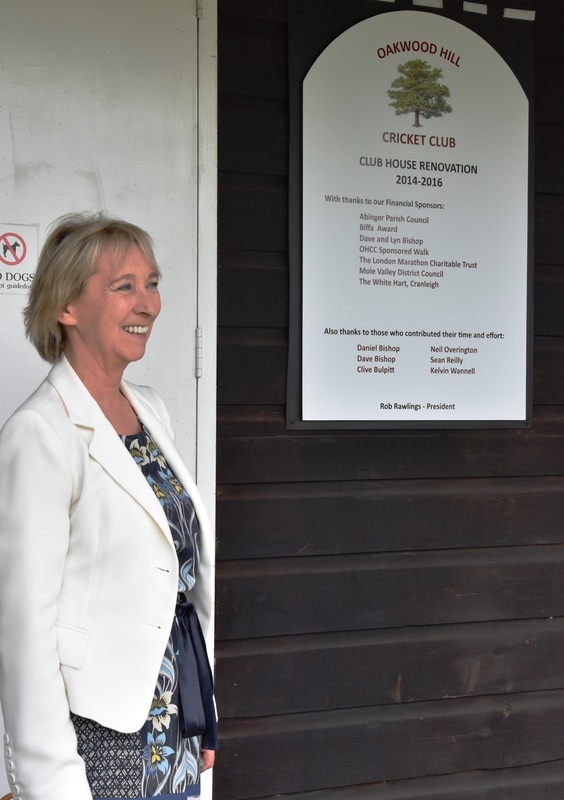 After some words of acknowledgement for our benefactors by Club Chairman, David Bishop, Vivienne revealed a plaque to commemorate both the work already undertaken as well as the work to come, the most significant of which will be work to reconfigure and refurbish the toilet facilities. 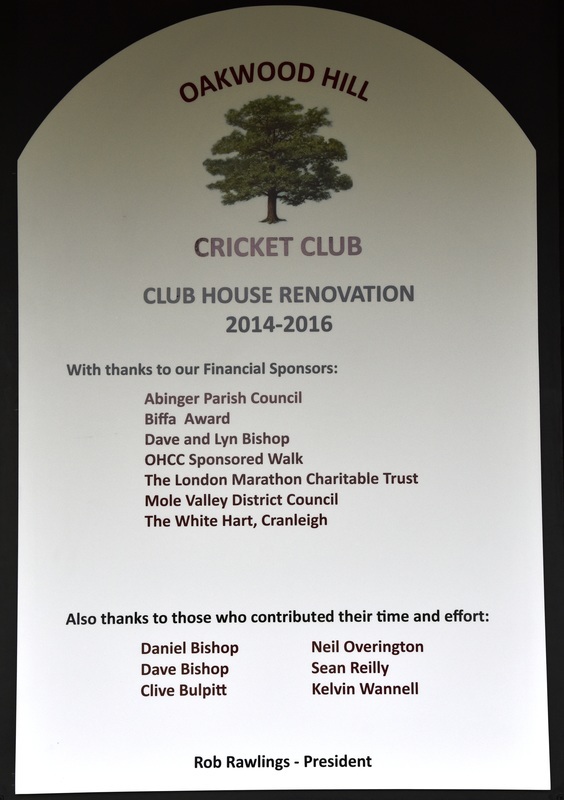 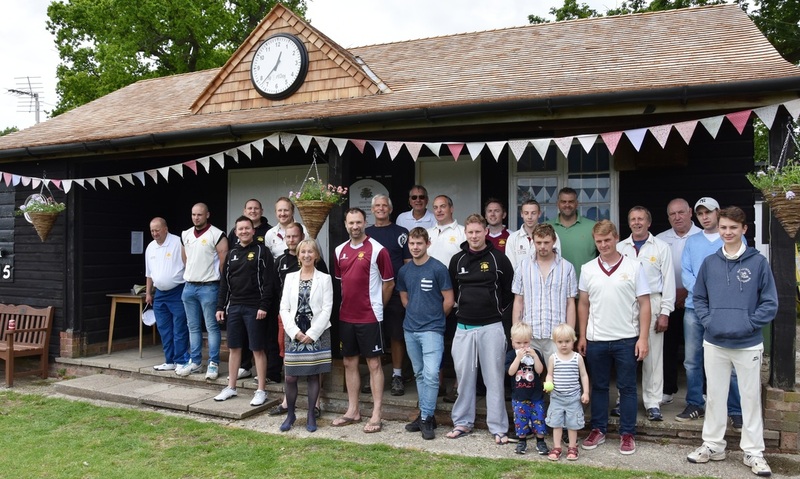 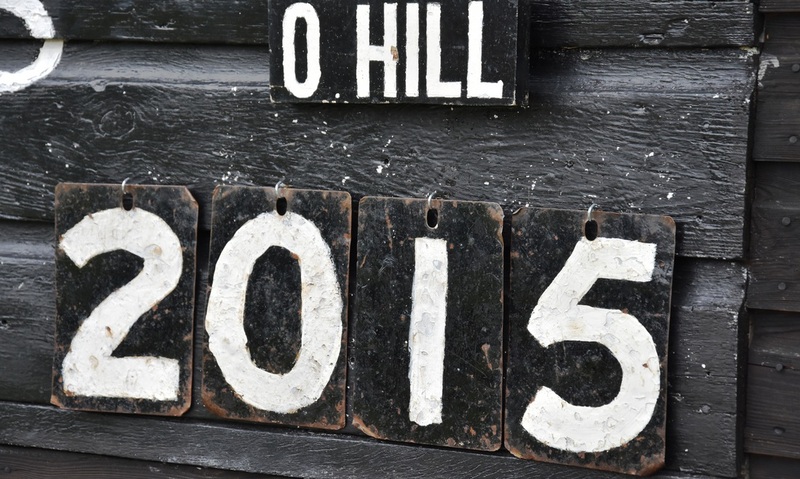 All at the Club are hugely thankful to those that have donated both valuable time and resources to this project so far, which will enable us to ensure that the off-field development keeps apace with that we have achieved on the field with both senior sides looking to build upon the divisional titles they achieved in the Surrey Downs League in 2014.